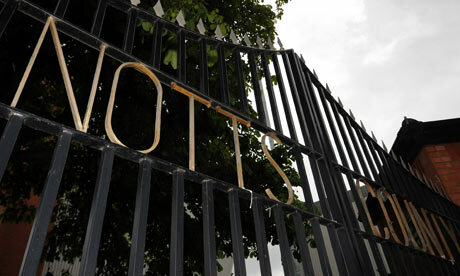 The news was announced this past weekend that the oldest league club in the world, Notts County have decided to part ways with their current manager, former Notts defender, Craig Short. Nothing too unusual about that you might suggest as yet another manager is unceremoniously sacked but by the local media’s reckoning this announcement means that the Magpies will shortly be announcing their sixth manager in just one year including caretaker bosses. It was the mid-sixties when I attended my first game at the old Meadow Lane ground with a maternal uncle who, like others in his family, had watched Notts in their earlier fashionable days. 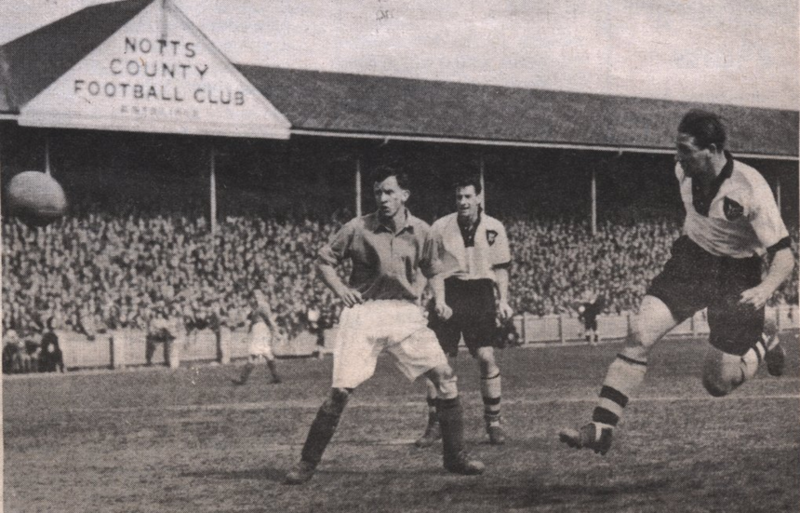 As anyone with an inkling about Nottingham football history will inform you, the 1940s and 1950s saw the heady days of England centre-forward, the magnificent Tommy Lawton signing for the then Third Division (South) club for a fee of £20,000 which was sensational news that stunned the football world at the time. The England spearhead signed from Chelsea and came to preside over average crowds of around 35,000 at Meadow Lane. In those days Notts were arguably the glamour club in the city, scoring barrow loads of goals through Lawton himself, aided and abetted by an outstanding inside forward Jackie Sewell and other aces in a strong line-up. A few short years later however and the writing was on the wall for County with, apart from the brighter news of a smattering of young stars who were sold off such as Jeff Astle and Tony Hateley, some generally very glum and depressing times indeed for the old club. It was in that dismal era with the club floundering amongst the dead men applying for re-election to the league’s old Fourth Division that I first heard the phrase used by my uncle ‘graveyard of managers’ for that is surely what Meadow Lane had become. A little research tells me that in just over a decade leading up to 1968, Notts County had earned that tag by employing no less than eight different men at the helm. This era began with Lawton himself who lasted a miserable fifteen months and ended with former Forest hero, Billy Gray who managed just a year at the club. I think it’s fair to say that these statistics of the day were outstanding and for all the wrong reasons. Whilst maybe they would not be completely unusual in current win-at-all-costs modern football they were a damning set of figures at the time. To the present then and we can see that the more some things change, the more they stay the same as in a similar ten-year period the Magpies hot seat has been filled by no less than twelve managers, not counting caretakers. As previously mentioned, the local media is quoting six in just the last year including short-term appointments. Craig Short, as far as I’m aware a reasonably popular signing due partly to his former popularity as an excellent central defender for the club has been shown the door after just five months and thirteen games in charge. Five of those games were won and at the time of the sacking Notts stood at a respectable sixteenth in their division. One has to ask, exactly what chance did Short have in that time of creating success at the old club? In furthering his case it has to be remembered that Notts are a newly-promoted side having gained access to League Two this season after a barn-storming finale to season 2009/10. They are now playing at a higher level and with many members of last season’s successful side needing replacement. Short is very much a rookie, a tyro in football management terms with just a few months experience in an interesting looking former appointment at Hungarian side, Ferencvaros. He undoubtedly has much to learn but arguably showed signs that he was capable of doing so astutely and quickly. In any case, if he had been seen as too inexperienced to lead the Magpies just five months ago what has really changed in this time? I’m a casual bystander in what happens in the Nottingham football world these days but I enjoy seeing both local teams excel. I have to say that when Ray Trew took over the ownership of the club a short while ago his common sense and financially prudent approach seemed to be exactly what Notts County needed after the ridiculous pie-in-the-sky Munto Finance days. 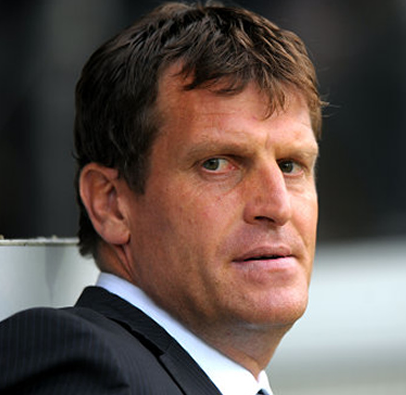 His manner was straight talking and to the point and I liked the cut of his jib in sorting out what were worrying and quickly mounting problems at Meadow Lane. That’s partly why I am surprised and disappointed at the short-termism being shown here. Notts County are not a big cheese in the world of football these days but I do believe in this case here they provide a very good example of one of the ills of the modern game. There is a lack of patience and tolerance shown to managers generally in what is at 95% of clubs an incredibly difficult job. These men get little leeway to bring to fruition the plans they formulate for the teams that employ them. It is a mathematic fact too that only the few can win things in any given season. There are a myriad of reasons why success comes to certain clubs, huge support and financial backing probably at the forefront but it is not unconnected that even at a peak level such as that seen at Manchester United and Arsenal some of the most successful clubs are those that stick by the man in charge of team affairs on a long-term basis. Former Notts County legend, Jimmy Sirrel a man I met and was fortunate enough to talk to at length one sunny afternoon and a manager who never once suffered the indignity of being sacked, I know would be the first to agree.